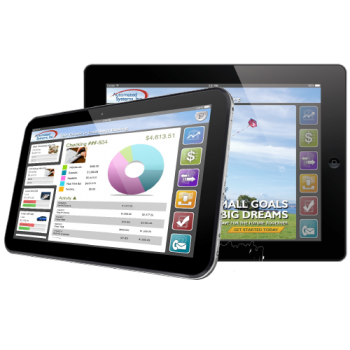 Tablet Banking Core Application | Automated Systems, Inc.
With a larger screen size, the Insite Tablet Banking App transforms into a personal finance management system. Users can graphically see when, where, and how the spend their money. Each transaction can be categorized, allowing customers to track their budgets more easily than ever. There is no need for confusing spreadsheets or stack of scribbled notes. Each expenditure can be categorized and saves, enabling consumers to go through their history to look up a transaction at any time. In addition, users can view their cash flow, comparing their deposits to their spending. The customer is able to see at a glance if their spending is coming too close to, or exceeding what they are able to responsibly afford.